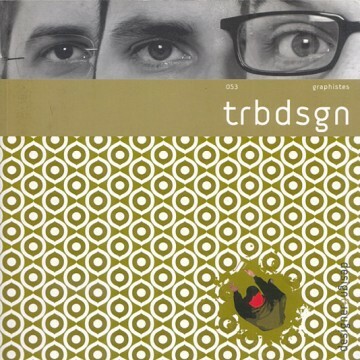 Design & Designer 053 – Trbdsgn, official blurb: Paris-based TRBDSGN (also pronounced Turbo design) was founded in 2001. The three members Höbz, Honda and Onde of the TRBDSGN collective have pooled their street culture and sundry experiences in order to forge their own world. They blend graphic design, graffiti and product design in a single, extremely coherent kind of logic. Their ability to get the best from the different milieus in which they operate enables them to consolidate knowledge and harness it to benefit their talent. In 2005, they showed their work at Galerie Kitchen93 near Paris.